When Will a Forklift Licence Issued in the UK Expire? Its Renewal & Cost - Be Certified Today! If you are in possession of a forklift licence issued in the UK, you may be thinking when will it expire? Please do remember that the licence you are holding is actually an operator card/certificate proving you that you’ve undergone a certification course in the past. With that being said, the employers want to know if you are holding a current licence that was recently issued proving that you’ve just recertified. It is important for them because they don’t want to get into any trouble with the law if the forklift operator they hired got involved in an accident caused by an improperly trained worker. The expiry of the forklift licence is a big deal for the employers if you are looking for a job. That’s why you need to have an up-to-date licence. Renewal will be necessary if you have an old and already expired one. 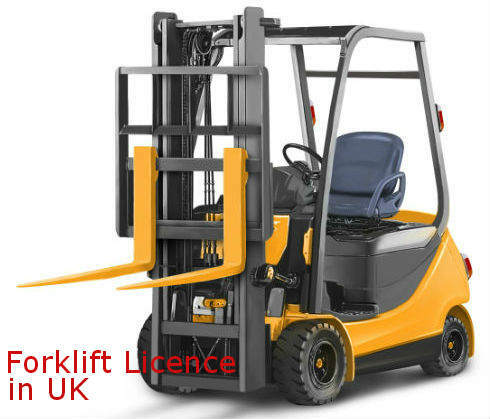 Let’s first discuss when will your forklift licence expires in the UK. How Long Does the Forklift Licence Last? There is no technical expiration but the minimum gap between refresher courses required by the Health and Safety Executive (HSE) is Three (3) Years. The HSE recommends that forklift drivers are supplied with refresher training and regular evaluation during that time period. The more frequent is the refresher training, of course, the better for the operators. Another thing why you need to be retrained every three years is that your personal and training details will be put into the register of National Operator Registration Scheme (NORS) for three (3) years from the last completion of a forklift certification course. The NORS is some sort of centralized database of all forklift drivers who have undergone an RTITB-accredited training. If you’ve had been previously registered in NORS, you might have received a notification six (6) months prior to expiration informing you that your registration is due to end. In that way, preparing and persuading you to have your forklift licence renewed and retake refresher course. Operating a forklift in the workplace without the proper licence is risky. You and your company could be penalized heavily. You or company could be fined £5,000 up to £50,000 depending on the gravity and omission of the penalty. Therefore, it is essential for you to have your licence renewed when it is due to expire. You can renew your forklift licence by taking a refresher course, either supplied by your own company (if you’re employed) or by a third-part training provider (if you are no longer employed). If you are not employed, which is more likely your case, you can contact a training school near where you are. We have a directory of forklift training schools. Just browse the menu, choose your location, there you will find them. If you’re employed, it is your company who is responsible to provide you the training you need. The training can be done on-site, in the actual workplace. The ideal method of delivery of training is in the actual workplace so that the training instructor can alter the course to suit with the current condition of the workplace. The cost of renewing your forklift licence varies. The refresher course costs around £200-£350. The amount will depend on the type of the forklift you want to get retrained to. The refresher course is cheaper compare to taking the novice training. The length of the course is also shorter since you already undergone a training in the past. To complete a refresher course, you have to spend a day or two taking the training, depending on the type of truck and depth of the course. If you are working for a company, the employer may cover the cost of retraining. The training can be conducted at the worksite or in the school premise. When will a forklift licence issued in the UK expire? Is a typical question every holder usually asks. Technically, there’s no expiration. But due to the significant two reasons: HSE recommends three (3) years is the maximum span to take the refresher course and the NORS registration typically kept your details for three years from the date of last training, you have to have your forklift certification renewed. Take the refresher course, it only take a day to complete and you will only need to spend a small amount of time and investment to it. But the benefit of having a renewed licence is worth it.